post established in 1863 at a time when the country was engaged in a Civil War. were held in the guard house during their trial and until the final days. replica of the old fort Gazebo if the weather is inclement and picnic tables. The Fort Klamath Museum segment was written by Pat McMillian. 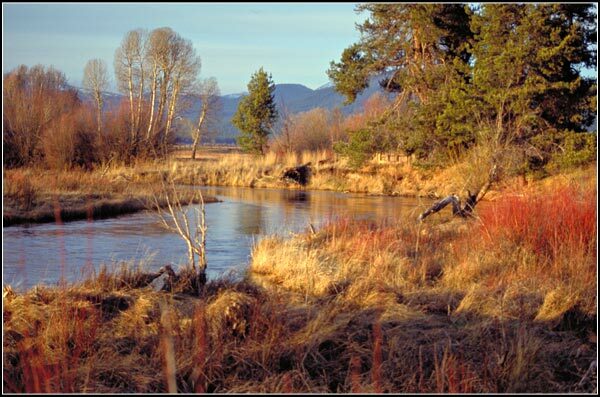 J. F. Kimball State Park is a pristine site located at the headwaters of the Wood River. 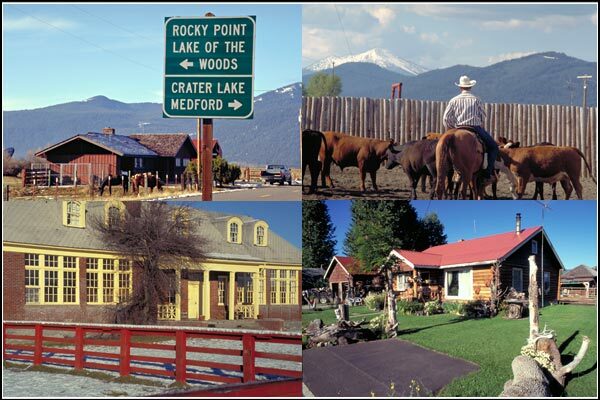 established in 1955, and covers 19 acres. 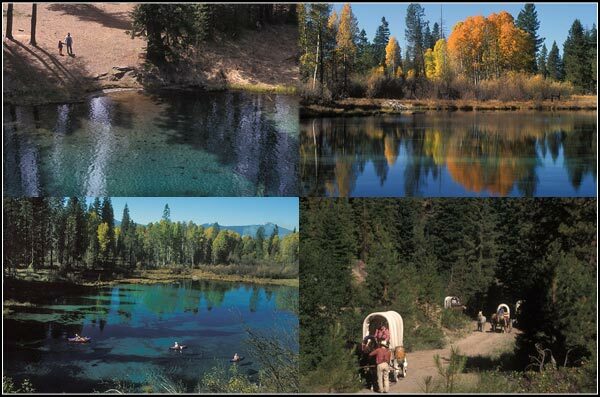 including the headwaters of the Wood River. Collier State Park since there are no horse corrals at Kimball Recreation Site. your own drinking water. 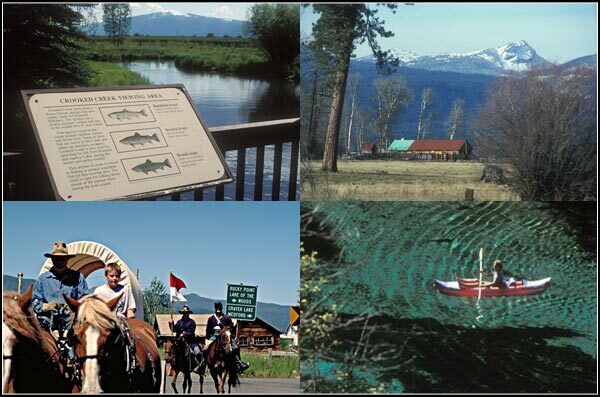 Picnicking, fishing and wildlife viewing are popular activities. 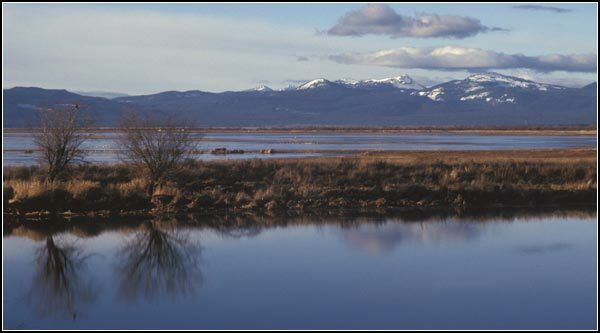 This is also one of the popular stops along the Klamath Basin Birding trail. 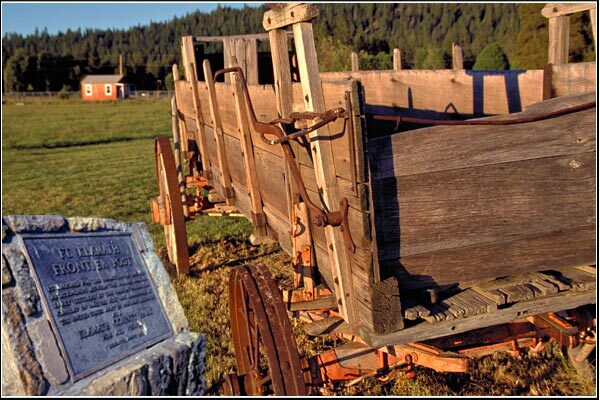 (Crater Lake Highway) approximately two miles from Fort Klamath. GPS: 121° 58′ 54.12″ W, 42° 42′ 15.34″ N.
border. The current production is approximately 1 million fish each year. that often come up to the surface in hopes of swallowing a food pellet or two. 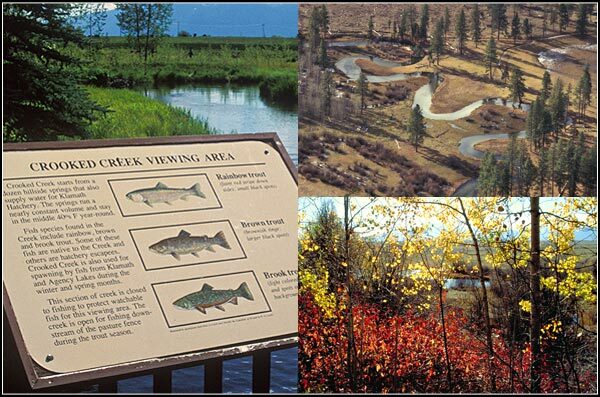 Some of these fish are native to the Creek and others are hatchery escapees. during the winter and spring months. Looking south at Crooked Creek and a Flooded Wood River Valley. fishing downstream of the pasture fence during the trout season. and Mountain Bluebird are commonly seen around the hatchery. by ponderosa pine and lodgepole pine with some quaking aspen in meadow lands. before joining the Wood River, about a mile south of Kimball State Recreation Site. 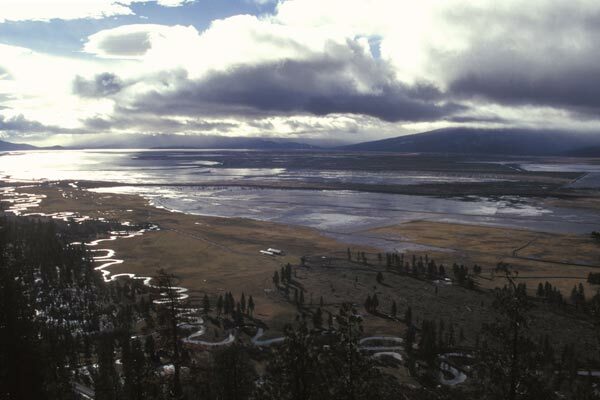 connected to Upper Klamath Lake. 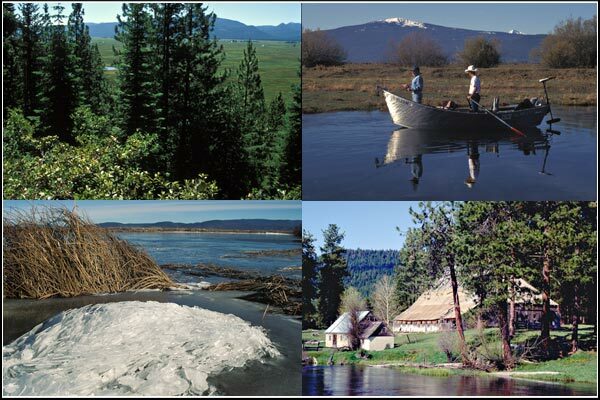 coastal rainbow trout are species, both rainbow trout subspecies, native to the Klamath Basin. The Wood River Was Changed By Man And Changed Again. the wetland area and adjacent Wood River channel to a more natural state. through the marsh, increasing the length of the Wood River by over one half mile. for fish, birds, and wildlife.